SHH | The Ego Co.
Pixel Snobs with this cute little falling leaves dress and this great swing by Prism! Pose by Fly Lily, also SHH gift! 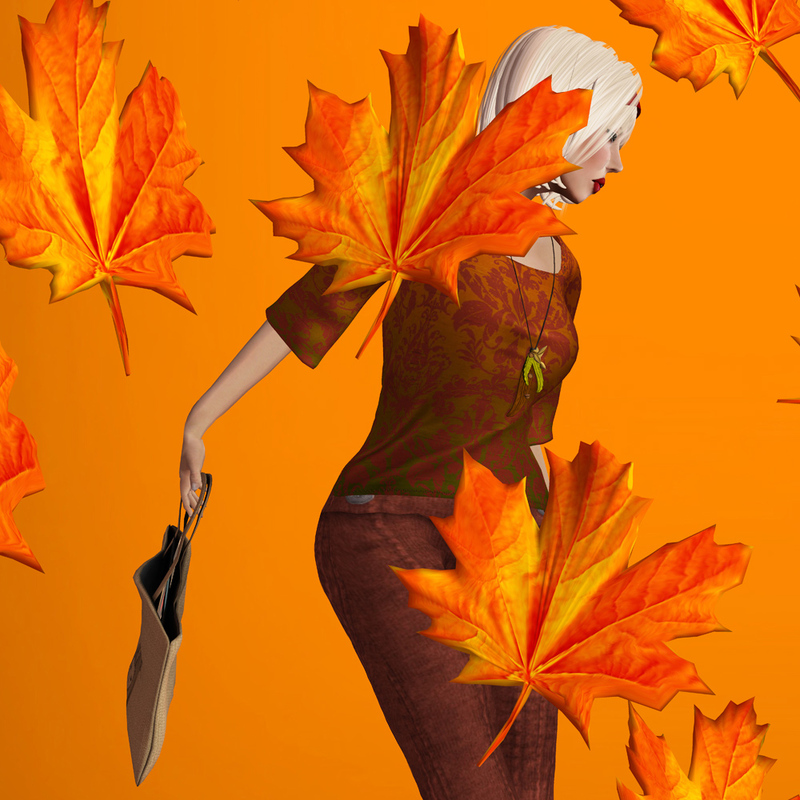 Valentina E. @ Summer Harvest Hunt & FaMESHed! The Summer Harvest Hunt by The Ego Co. is in full swing and one of the cutest mesh dresses in the hunt is from Valentina E. Couture. At The Ego Co webpage you can get SLurl’s and hints to each of the gifts, and don’t forget the in-world group if you need extra encouragement! Valentina E. is also one of the regulars at FaMESHed and this months dress is a stunner. It has a snake for a collar that melts into the dress as it goes around the neck and down the side of the dress. Glam Affair has long been one of my favorite skin makers (I even have skins back to the days of Beauty Avatar!) and I am sooo in love with the newest release Lilith. I’m wearing it in the America tone. This is the second release with the new skin tones, and each one is so beautiful. I can’t wait to see more releases! The Summer Harvest Hunt is about to kick off, and wow is it packed full of goodies! You’re looking for a nut. And over the next few days I’ll be sharing some of my favorite hunt items with you all. To see the official store list check out The Ego Co. Bent., Sakide, Bazar, Sweet Leonard, Needful Things, Tea Time & Duh! are all part of SSH!